When will be Eco Company next episode air date? Is Eco Company renewed or cancelled? Where to countdown Eco Company air dates? Is Eco Company worth watching? Global warming; greenhouse gases; how ocean acidification affects marine life; NASA. Tapping into the heat deep in the Earth to create steam to produce electricity on a large scale; the largest geothermal power facility in the world. The sustainable-living community at the Solar Living Institute; urban youth learn ``green'' job skills; high school students teach children about river ecology; a museum of insects and invertebrates. The Algalita Marine Research Foundation; plastic in the Earth's oceans; Earth Day founder Denis Hayes; making surfboards with nontoxic and sustainable materials. 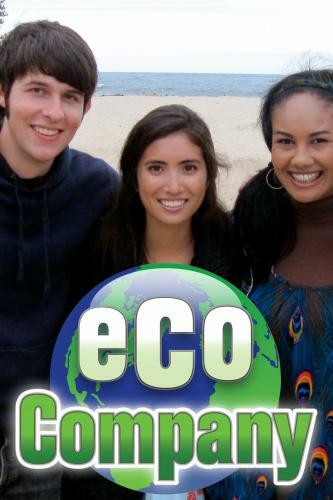 Eco Company next episode air date provides TVMaze for you. EpisoDate.com is your TV show guide to Countdown Eco Company Episode Air Dates and to stay in touch with Eco Company next episode Air Date and your others favorite TV Shows. Add the shows you like to a "Watchlist" and let the site take it from there.